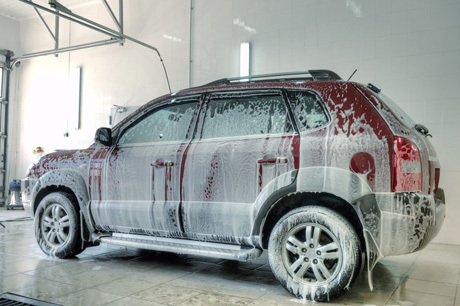 Snow Foam is a particular way of cleaning & washing cars which will loosen up dirt that can then be easily rinsed off using a high pressure washer. The Foam is left on the car to stay for about 5 minutes. In this time it chemically breaks the bond of fats, loosen up dirt and breaks down grime. When the Foam is rinsed off, it will rinse away most of the dirt. 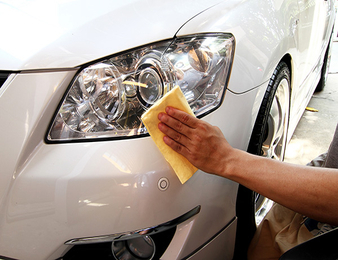 By rinsing it off and not having direct contact with the paint, the risk of getting swirl marks is greatly minimized. More than simply wiping or vacuuming the interior of your car, the word Intensive Interior Cleaning means just what it says: Focusing on and cleaning the tiny details of your car cabin to take it from “clean” to “sparkling like new”. 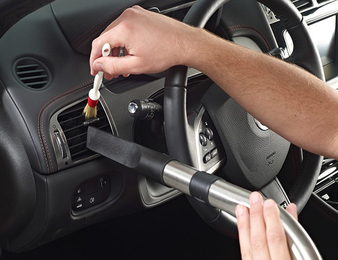 Interior Cleaning / Detailing involve a deep cleaning of the whole interior, which necessitates the use of a variety of cleaning techniques and products. The Ozone Air Purification Treatment freshens up your car’s interior by eliminating odour & bacteria. This environmentally safe odour neutralizer actually destroys the sources of the odour and leaves pure fresh oxygen in its place. It is Excellent for smoke damage, mold, mildew, pet odour, sweating and other sources of odour commonly found in vehicles. Foam Cleaning And Washing Of All Interior Parts Like Seat Covers, Dashboard , Door Pannels, Carpet, Roof, Ac Vents Etc. Over the time, car paint erodes due to the effects of sunlight, UV radiation, acid rain, salt, dirt, bird dropping, air pollution and mainly improper washing techniques. 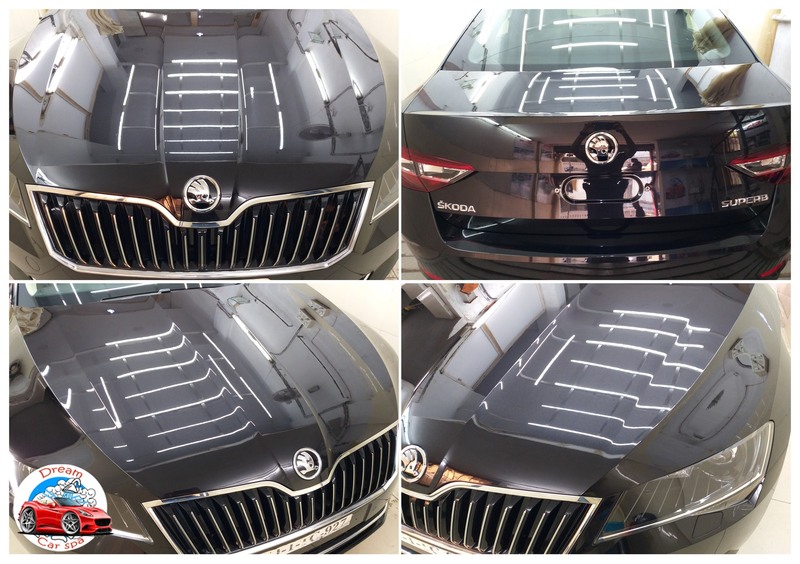 The paint correction process is performed by simple polishing to a more rigorous sanding and compounding process using various buffing machines and polishing pads. It also covers any visible surface impurities that are difficult to remove like tree sap, road tar and also any unwanted contaminants with the aim of restoring paint to its factory finish. 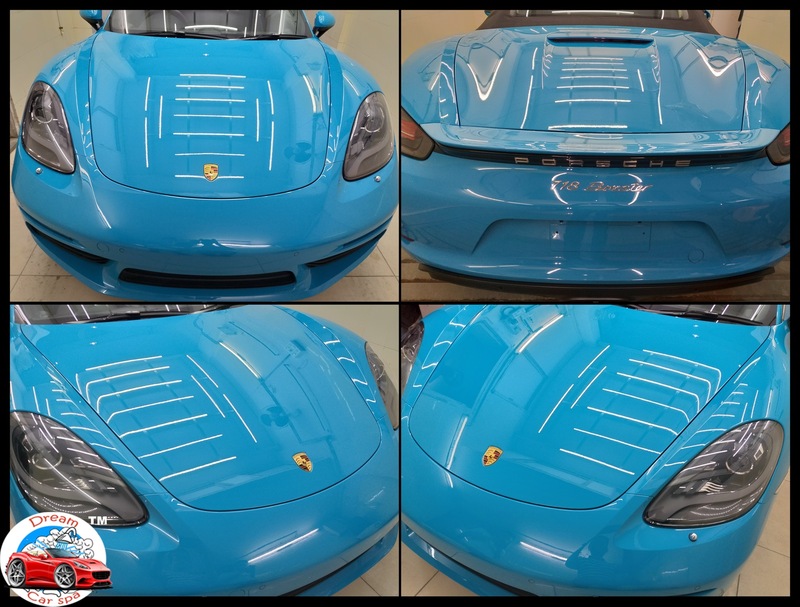 After performing the Paint Correction Process, the finished paint is protected by various qualities of Sealants. Sealants are basically beauty packs of car made from synthetic ingredients which protect cars from UV rays and acid rain. 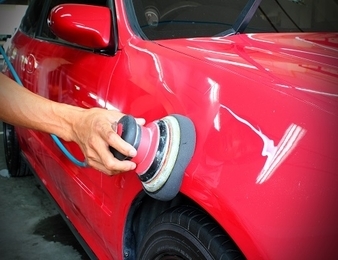 Paint sealants protect car’s finishes and make cars look shiny for a longer period of time. 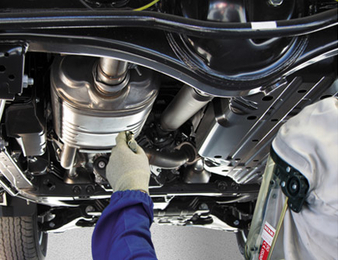 A car underbody is made up of several metals – Iron, Steel, Aluminium, Copper etc. Corrosion is the reaction of iron & oxygen, as may present in water or air moisture. Any iron material when exposed to both oxygen and water is bound to rust unless a preventive coating is applied on to it. Just because it’s out of sight, doesn’t mean it should be out of your mind. Underbody coating is a thick hard-wearing coating applied to the underbody or chassis of a car to protect against impact damage from small stones, which would rapidly chip ordinary paint, allowing rusting to begin. Headlight restoration is the process of refinishing aged headlight lenses that have become discoloured or dull due to UV radiation and other environmental factors such as road debris impact, acid rain and exposure to caustic chemicals. Over time the protective hard coat breaks down with UV degradation and wears from abrasion. If left untreated, the headlights will eventually develop small surface cracks. The effectiveness of the headlights in terms of light output can be significantly reduced. This condition results in hazy and discoloured lenses which causes reduced night time visibility. It is possible for cloudy and hazy headlight to be restored to a like-new condition and represents typically a far more economical alternative than replacing the lens. There are few better feelings in the world than to walk out with a brand new car from a showroom. The real question now is how to keep your car looking as good as new even after months and years of usage? The answer is our Ceramic Coating Treatment. Ceramic Coating is a clear coat which uses Carborundum, one of the hardest materials in existence, in its manufacturing. 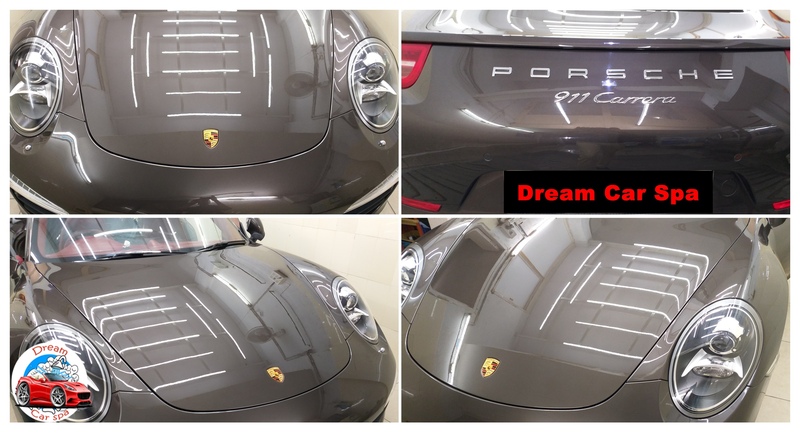 When applied, the Ceramic Coat forms a chemical bond with the paint, forming a clear coating on the surface of the car which is resistant to chemicals, UV rays, colour fading, acid rain, oxidation, bird droppings, road grime, corrosion, hard water stains and swirl marks. 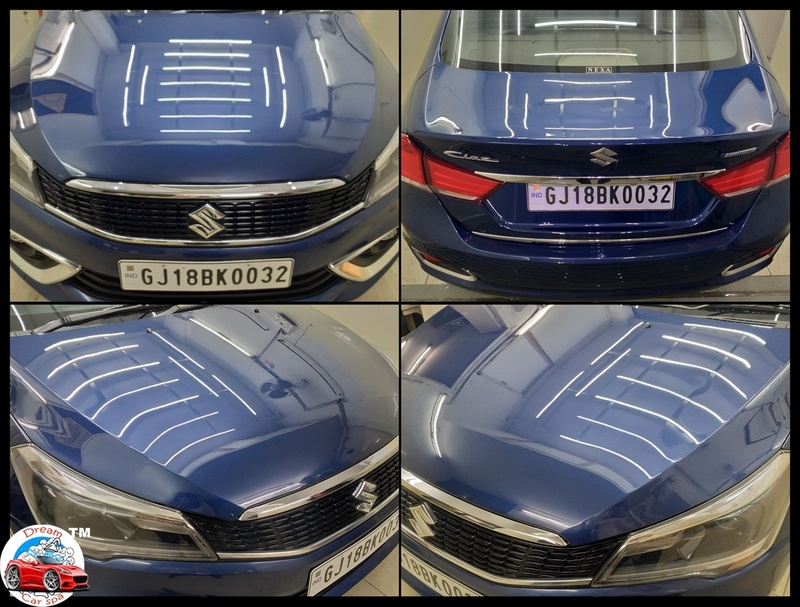 Ceramic Coating is highly hydrophobic and hence it repels water easily from any surfaces and it can be applied on any car irrespective of its age and condition. UV-Resistant : When your vehicle is exposed to the sun, the paint will begin to oxidise and fade. A Ceramic Coating for cars provides a barrier which protects from this effect. 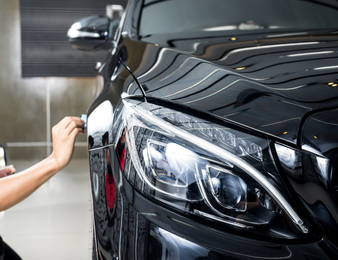 Chemical Resistant : Acidic fluids and salt will stain and etch a paint job (including bird droppings and dead bugs), but with a Ceramic Coating, car paint is protected by clear coat which prevents these destructive elements from penetrating. Hydrophobic : They repel water, so water will bead on the surface and slide off. It is also more difficult for mud and grime to adhere to the surface, making washing easier and less frequent. 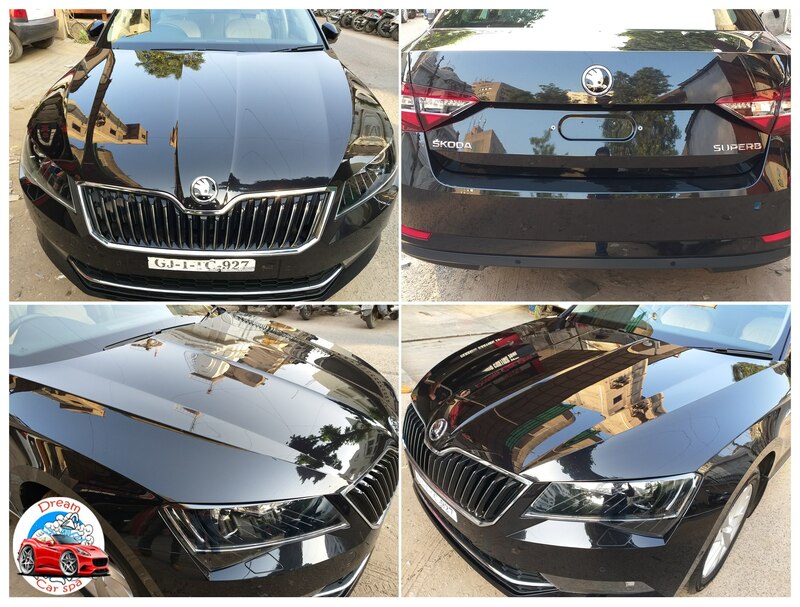 Extremely Glossy : A Ceramic Coating coats your car in a slick, self-cleaning surface which makes your car glossy and shiny, like it just came out of the showroom. 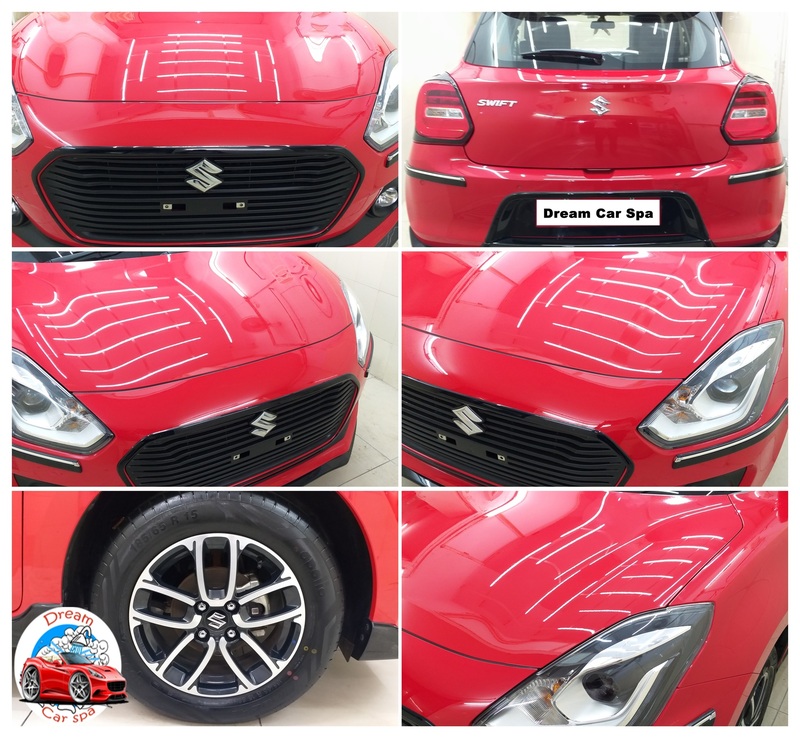 Dream Car Spa is a service oriented Car Spa & Car Detailing company, established in the year 2012 in the heart of the city Ahmedabad, India. GF - 2, Ratnamauli, Behind Jain Temple, Girish Coldrink Cross Road, C.G.Road, Navrangpura, Ahmedabad - 380009. Gujarat, India.